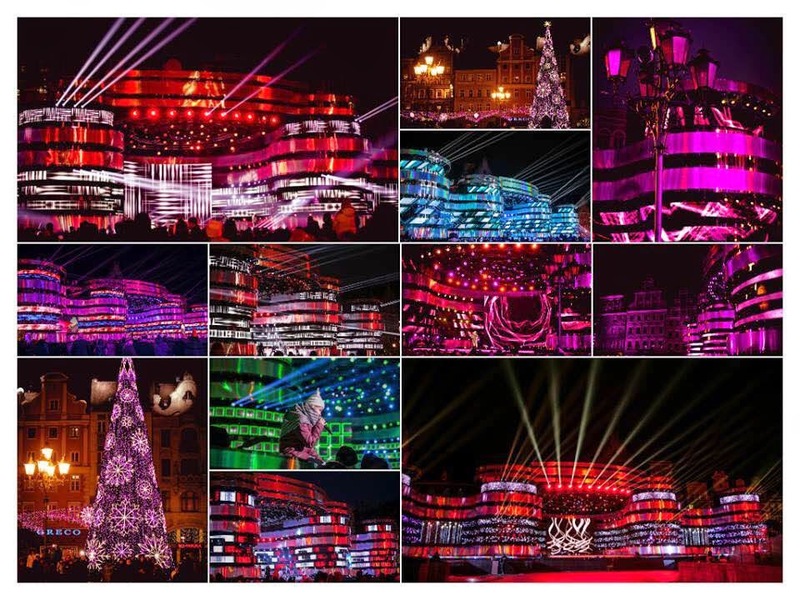 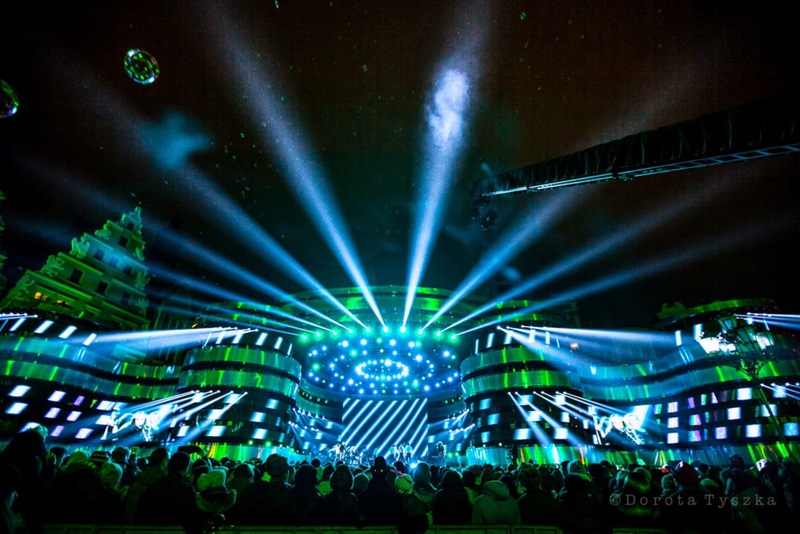 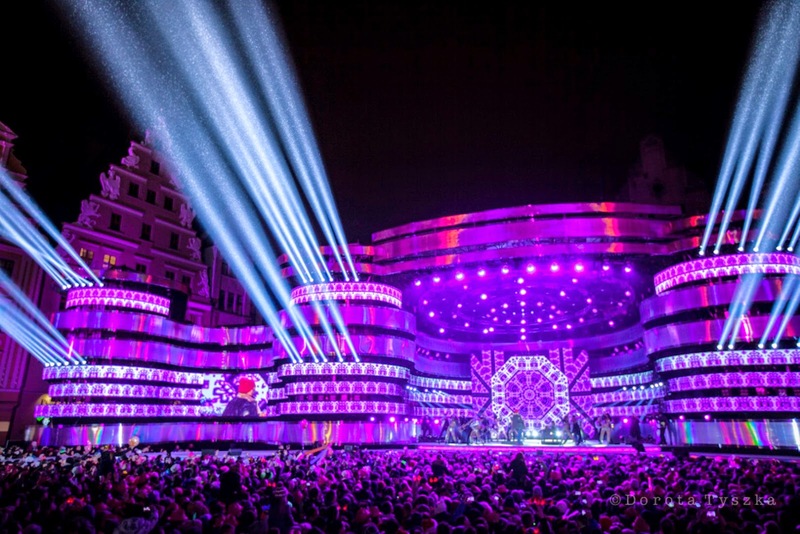 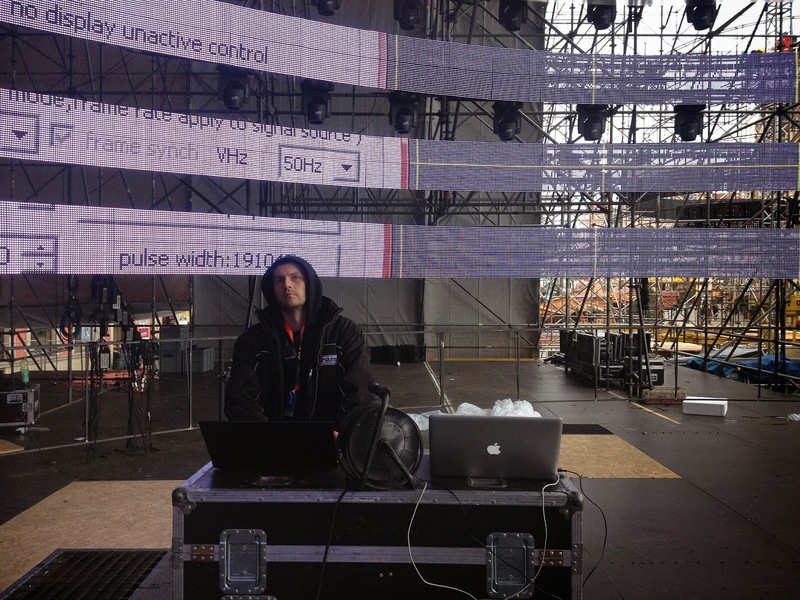 See how looks New Year’s Eve stage that was built in Wroclaw, Poland. 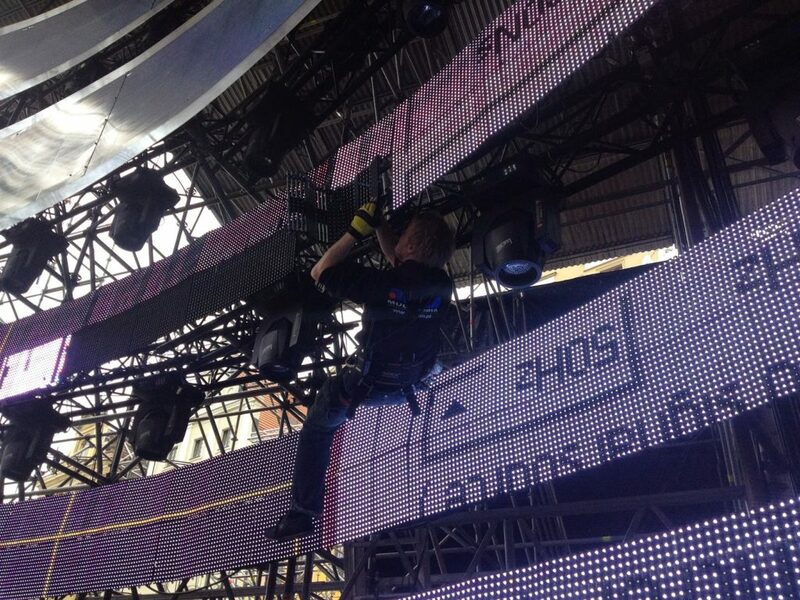 Almost 400 m2 of LED curtains and displays, several hundreds lighting fixtures from major brands! This was an amazing event. 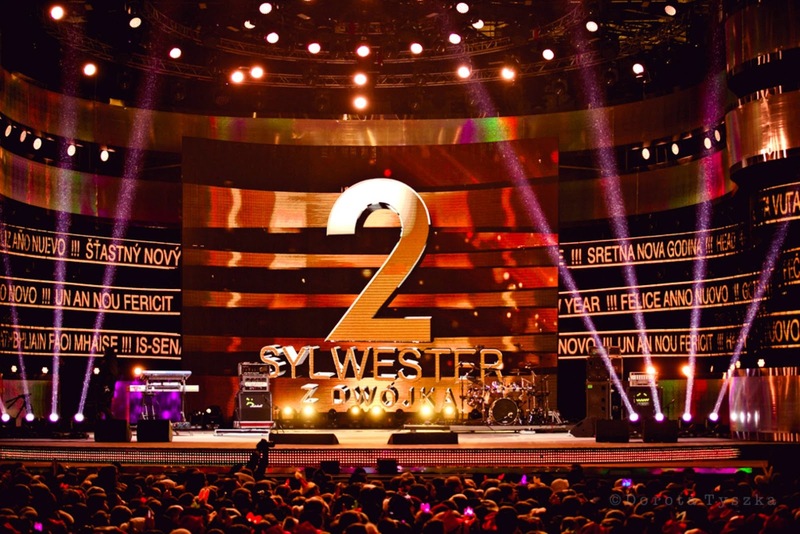 The biggest polish stars and foreign artists performed on the stage accompanied by finalists of „The Voice of Poland”. 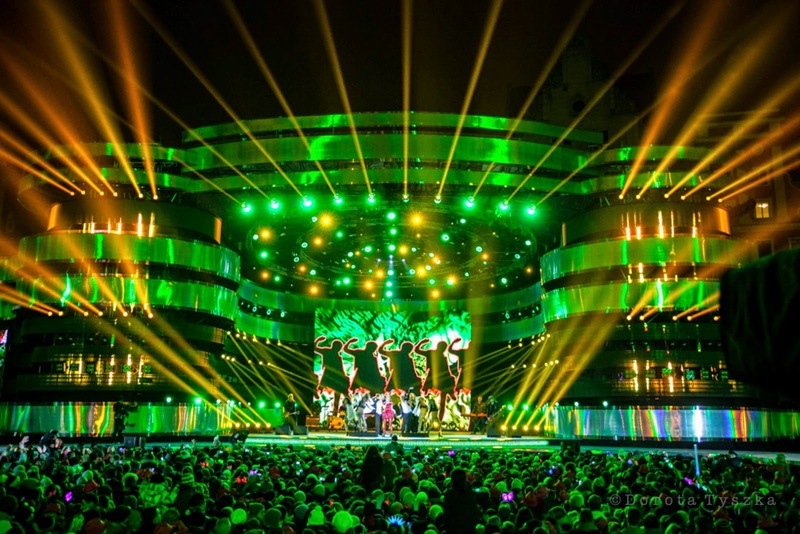 During six hours of the show audience gathered on Wroclaw main square and viewers watching on TVP2 channel, could experience more than 50 greatest polish and European music hits. 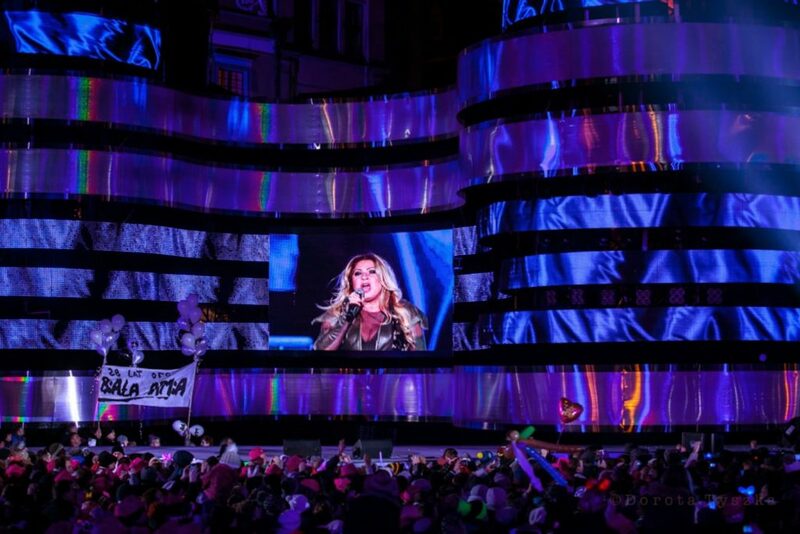 The main screen (curved inward), screens for the audience as well as the complete system to control lighting and multimedia based on four GrandMA2 consoles and MA2 NPU processors as well as Catalyst Media Servers. 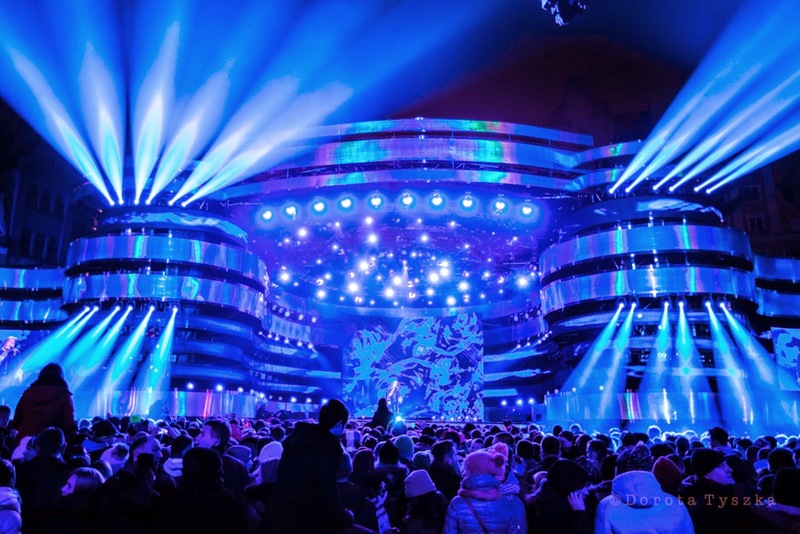 We have also delivered nearly 100 lighting fixtures from Clay Paky, Vari Lite and Fourlight. 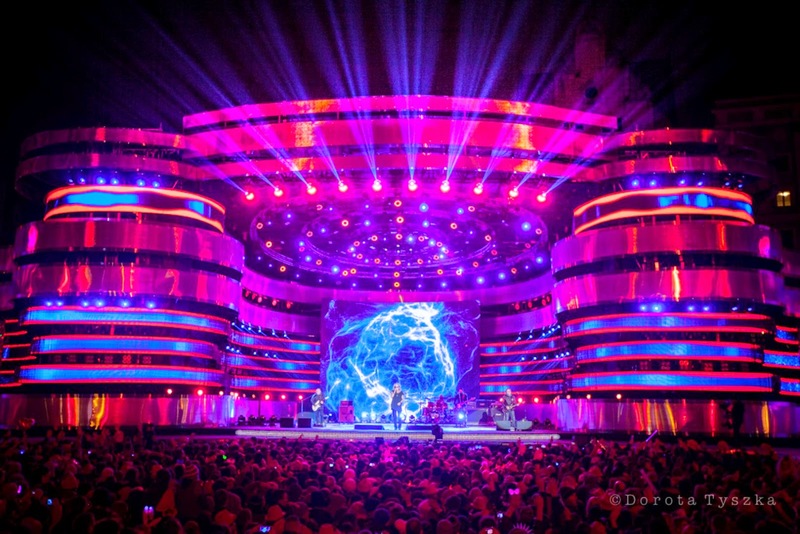 Lighting design made by Adam Tyszka, set design is a work of Joanna Bialousz, show was directed by Konrad Smuga. 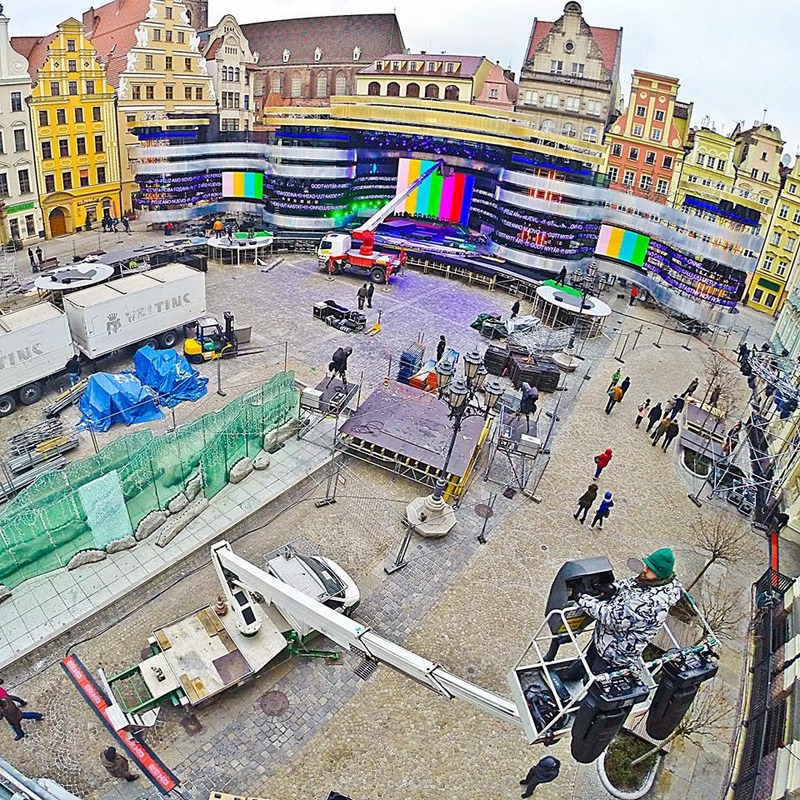 ARAM crew team leaders: Michal Sawicki, Wojtek Koperski and Krzysztof Grabowski. 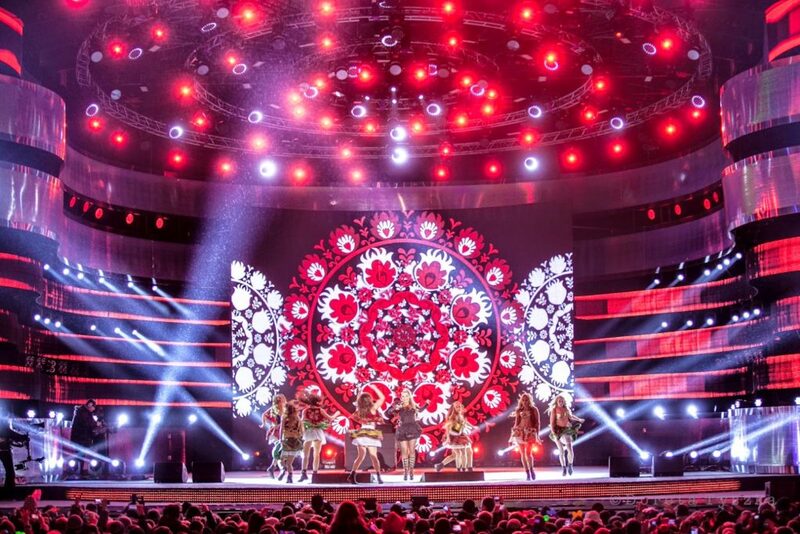 The show has been watched by almost 3.4 million viewers, which gave it the highest rank during last night of 2014.